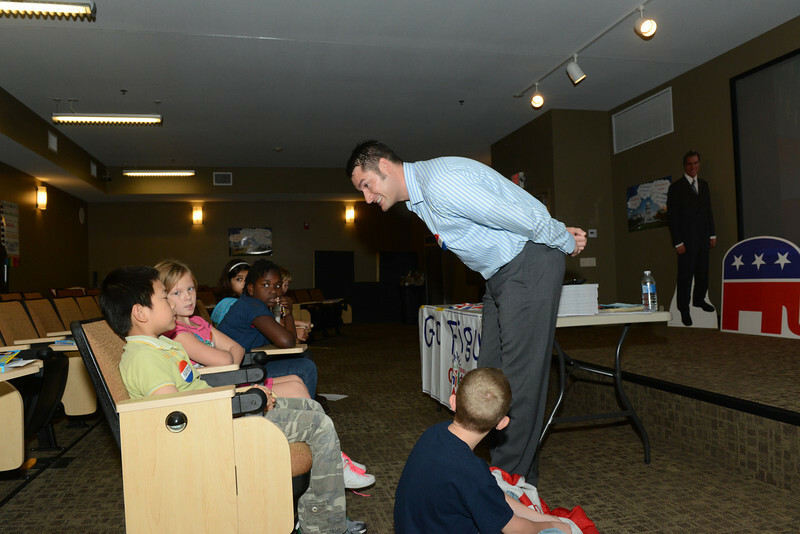 Oct. 13 was the kick off for the Fall Session of "Go Figure," a math encouragement program for third, fourth and fifth graders sponsored by the Indiana State University Center for Mathematics Education and the Terre Haute Children's Museum. Carly Schmitt, an instructor in the ISU department of political science, spoke on qualifications to vote, such as the age, race and gender to vote. She also discussed how voter qualifications have changed over the years and are based on the United States' Constitution. "It is a fact that younger people don't vote, and if we start teaching them about the process at an earlier age then hopefully they will be anxious to vote they turn 18," said Schmitt. Assistant Professor of Political Science Matthew Bergbower, who discussed the presidential qualifications, informed the children that candidates must be United States citizens and be 35 years or older. Participants then engaged in an activity where they created histograms describing the heights of our 44 presidents and their respective ages at inauguration. "By teaching students at such a young age, we can help them as individuals and in turn we help the USA as a nation. We are encouraging theses youngsters to be more passionate about politics as they get older," Bergbower said. During the five week Fall Session, Go Figure participants learned about the Electoral College and how it is related to the population and states as well as media coverage and how there is more to the media than just television. Volunteers from ISU's Communication 381 class taught the students how to follow the candidates on Twitter and on Facebook. The culminating activities for Go Figure participants include registering to vote and casting their votes in a mock election on Nov. 3 and then debriefing the election results and looking forward to the January 2013 Inauguration during the final session on Nov. 10. 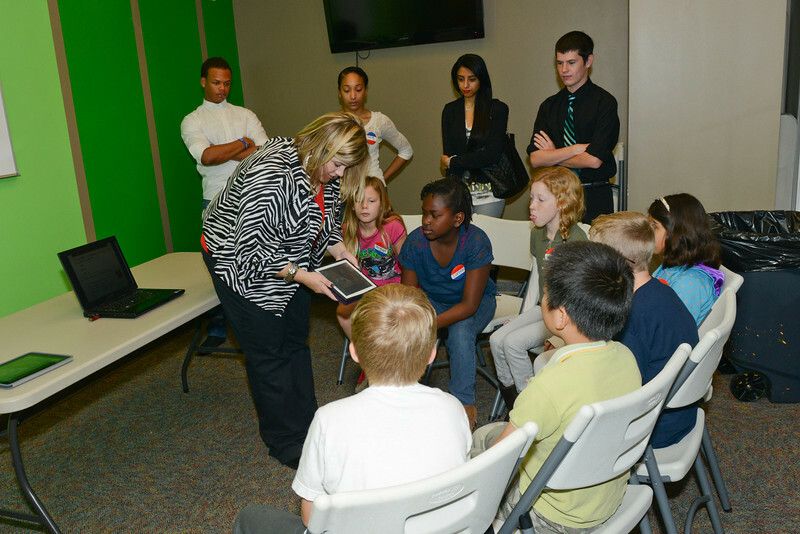 "The major objective of our program is to enhance hands on interactive learning. Many schools don't have time to teach the students this way due to curriculum restraints and testing requirements. This program provides innovative and hands on approach for teaching the students," said Butwin. At the end of the event on Saturday, as one child left, she said she had fun and "there was a lot of information." The program is held at the Children's Museum every Saturday for five weeks from 1 - 2:30 p.m. and ends on Nov. 10. 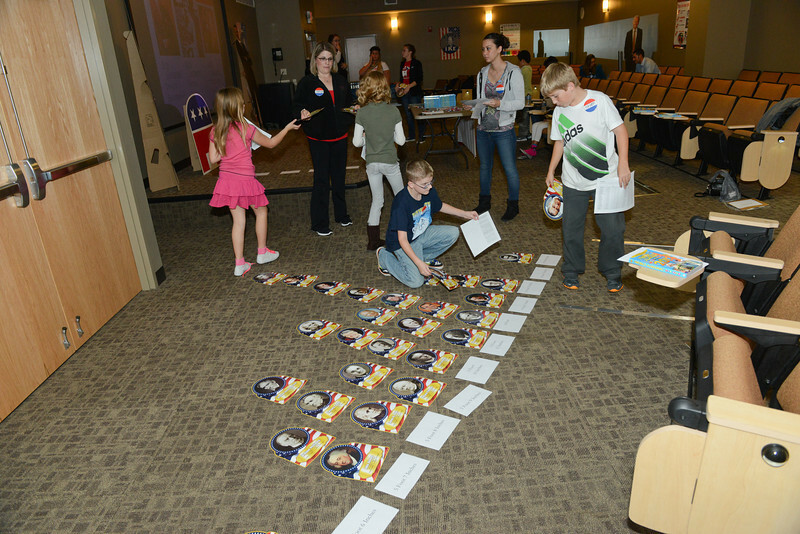 Oct. 13 was the kick off for the Fall Session of â€œGo Figure,â€ a math encouragement program for third, fourth and fifth graders sponsored by the Indiana State University Center for Mathematics Education and the Terre Haute Childrenâ€™s Museum.